Deep cleansing and moisturisation for glorious shine. 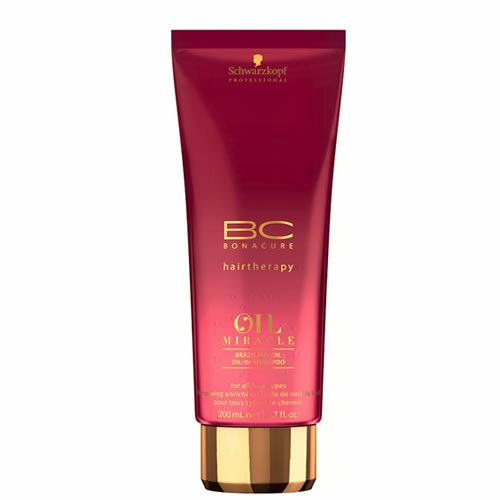 Schwarzkopf Professional BC Bonacure Oil Miracle Brazilnut Oil Oil-In Shampoo gets to work smoothing and softening rough hair cuticles, creating the appearance of a sleeker finish for your clients' hair. It has the properties of a super-hydrating cleanser that purifies the scalp without weighing it down with any excess. 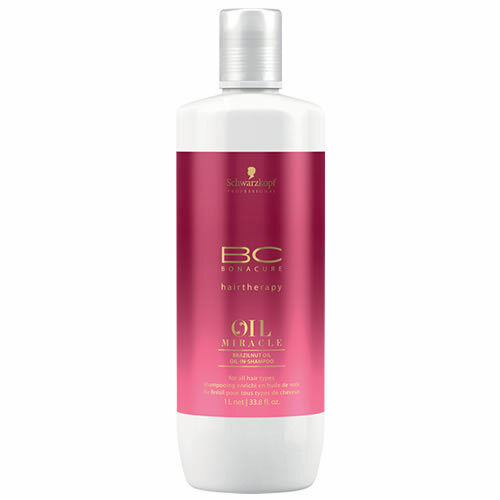 Its lightweight, oil-based formula gives it super-hydrating cleansing powers that won't weigh hair down leaving it looking beautiful and shiny after each wash. 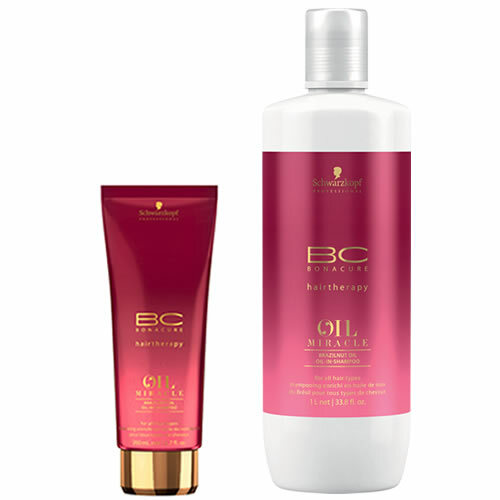 The brazil nut oil helps deeply condition each strand strand of hair, whilst micro-encapsulated technology releases a delicious fragrance for up to 24 hours, allowing your clients to re-live that fantastic freshly washed feeling in-between washes.